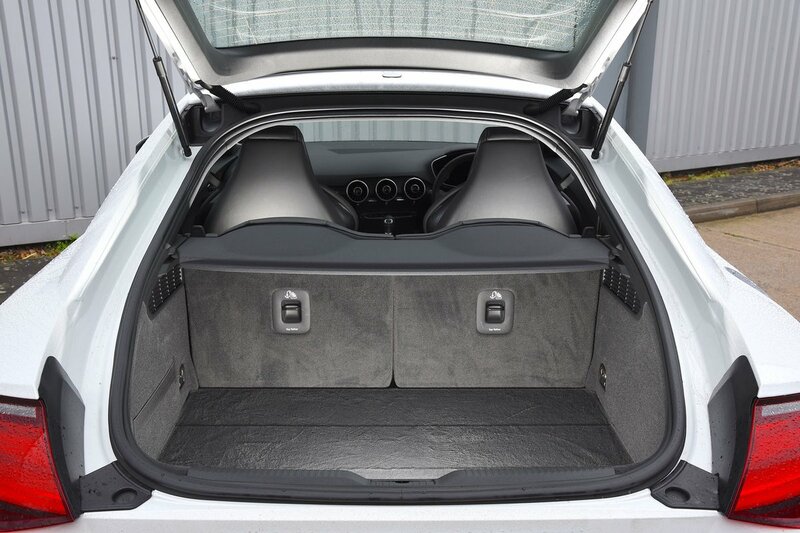 Audi TT Coupe Boot Space, Size, Seats | What Car? If you’re extremely long-legged, you might wish the driver’s seat slid a bit farther back, but most adults will be more than comfortable. The wide cabin also helps you feel less claustrophobic and hemmed in than in many sports cars. The door bins are fairly pokey, but there’s a small cubby in front of the gearlever to keep valuables out of sight, plus a decent-sized glovebox. The single cupholder between the front seats is deep enough to hold tall cup of coffee upright when you’re cornering or braking. The TT’s rear seats are next to useless for carrying people; even children will be cramped, and adults won’t fit without extreme contortion. You may prefer to use the space for bags and coats you can’t be bothered to put in the boot, or you can fold them down for an extended luggage bay. Either way, it’s easy to make use of the room they take up one way or another. Both front seats are height-adjustable, and the rear seatbacks split 50/50 and lie totally flat when folded down. It’s easy to lower those rear seats when you’re standing by the boot, too; you simply pull a lever on top of the seatback and push the seat forward. That’s about it for seating flexibility, though; there’s no option of a folding front passenger seat for those occasions when you need to carry extra-long items, but that’s expected of a car from this class. If you plan to carry nothing but water, you’ll fit more in the TT’s boot than that of a Ford Fiesta. 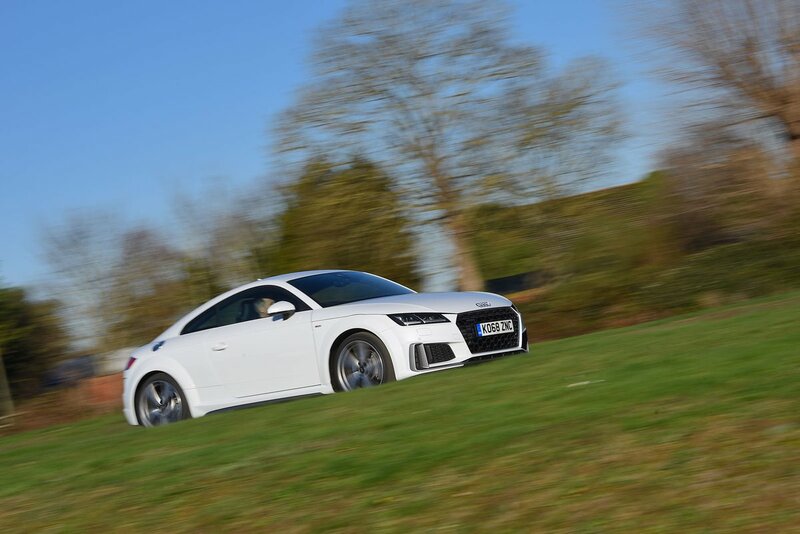 But while its boot is technically bigger, it’s also rather shallow – particularly towards the back of the car. So, while carrying the weekly shopping shouldn’t present any problems, carrying taller items is more of a challenge and will usually require you to fold the rear seats down. Thankfully, doing so leaves no annoying step in the extended boot floor, plus there’s only a small lip to negotiate at the entrance to the boot. 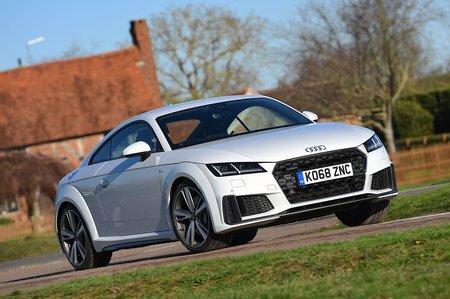 What definitely is handy, though, is that the TT’s large hatchback is far more convenient than the saloon-style opening of many coupe rivals, and means you can even slot a bike in easily enough – if you remove its front wheel first.